Scissor Spot™/Pin Place™ magnet holds your scissors securely with the handles ready to grab! Press the suction cup onto the side of your machine or locate it just above your sewing machine pressure foot and instantly deposit pulled-out pins as you keep machine sewing. This powerful little holder is strong enough to easily anchor thread scissors or even full size cutting shears. 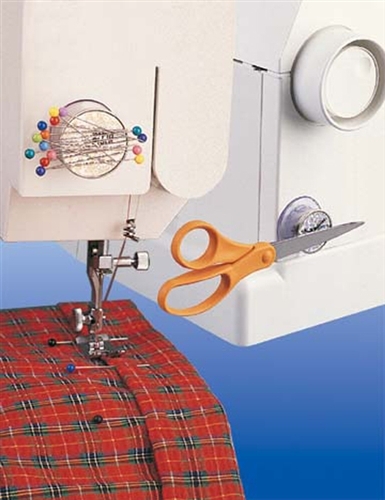 Scissor Spot/Pin Place is a convenient way to manage sewing tasks.